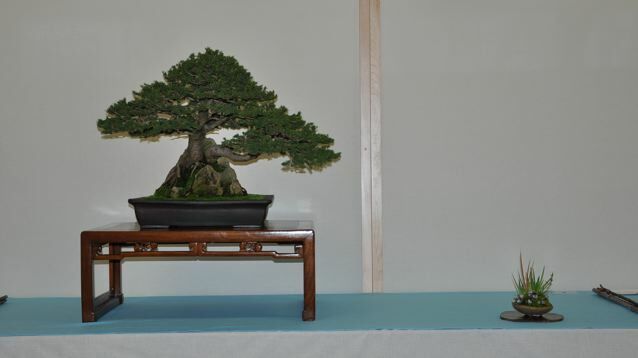 This bonsai belonged to Mas Imazumi. It spent some time under the care of Boon. But it is now out in the world for all to see. The new owner is Jeff, who has worked with Boon for the last few years to get it show-ready. Enjoy. Akio Kondo has arrived from Japan – and Boon took him on the road with him. Their first stop was at Tom K. The fun part of this stop is that the tree below was originally grafted by Akio 13 years ago. Today it has shimpaku foliage. 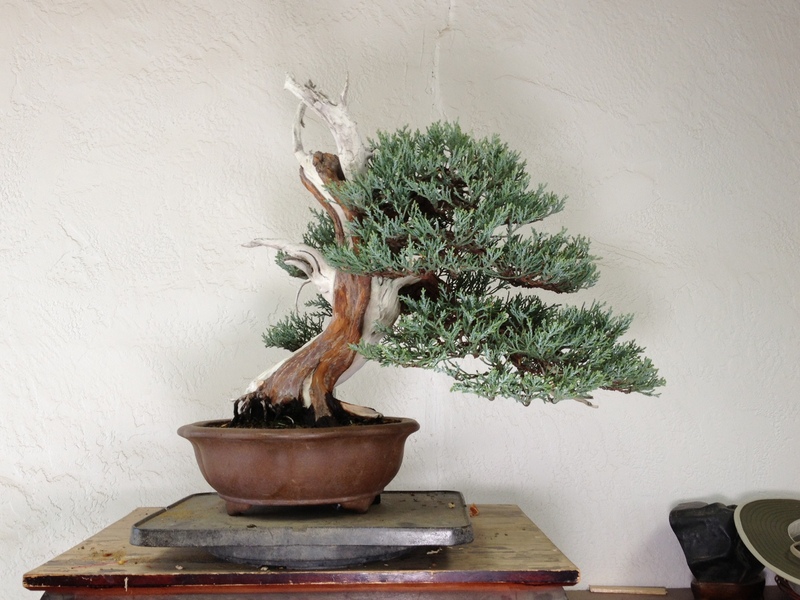 But 13 years ago it was completely California Juniper. It was one of those weepy califiornias that never would “tighten” up it’s foliage – so it was a fitting candidate.